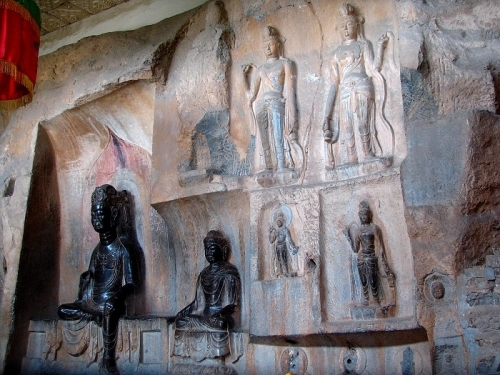 Located in Yaowang Mountain, 1.5 kilometers east of the Yaozhou District of Tongchuan City, Shaanxi, Yaowang Mountain features seven grottoes of the Sui and Tang dynasties as well as Buddhist statues dating from the Northern Wei Dynasty to the Tang Dynasty. Besides, it has 200 stone tablets (药王山石刻) erected during the past dynasties, including the Sui, Tang, Song, Yuan and Ming. 2. It has many specialties shops and you can buy various kinds of local specialties. - How to get there: take bus from Xi'an to Tongchuan and get off at Yaozhou.